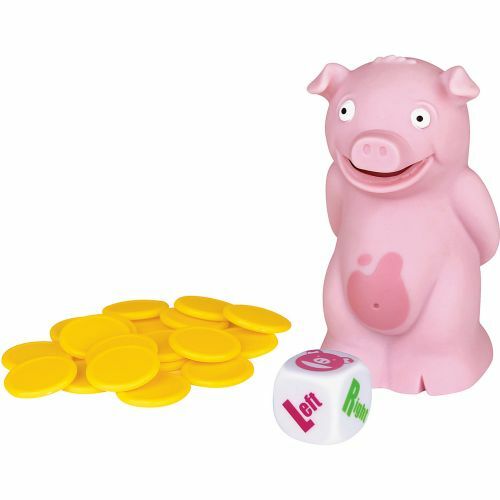 Poke Stinky Pig's belly to hear him sing, and then roll the die to see which way to pass him. Do it fast…pass him left, pass him right, roll again…but hurry before he…toots! 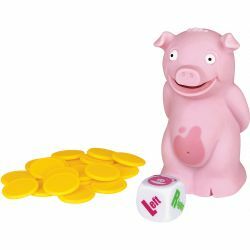 Take a token if you're holding Stinky Pig when he passes gas, but keep playing! Player with the fewest tokes wins!